JERUSALEM (AP) – The Israeli army dropped phosphorous bombs on Hezbollah guerrilla targets during their war in Lebanon this summer, an Israeli Cabinet minister said Sunday, confirming Lebanese allegations for the first time. Until now, Israel had said it only used the weapons – which cause severe chemical burns – to mark targets or territory, according to Israeli media reports. But Cabinet Minister Yaakov Edri said Israel used the weapons before an Aug. 14 cease-fire went into effect, ending its 34-day war against Hezbollah. Edri said he was speaking on behalf of Defense Minister Amir Peretz, according to his spokeswoman, Orly Yehezkel. The Lebanese government accused Israel of dropping phosphorous bombs during the war. Edri did not specify where or against what types of targets the bombs were used. White phosphorous is a translucent wax-like substance with a pungent smell that, once ignited, creates intense heat and smoke. The Geneva Conventions ban using white phosphorous against civilians or civilian areas. The United States acknowledged last year that U.S. troops used white phosphorous as a weapon against insurgent strongholds during the battle of Fallujah in November 2004, but said it had never been used against civilian targets. Israel is a signatory to the Geneva Conventions. The Israeli military said in July its use of weapons “conforms with international law” and it investigates claims of violations based on the information provided. Overall, more than 1,200 civilians were killed on both sides during the conflict, which started with Hezbollah’s kidnapping of two Israeli soldiers in July. Both Israel and Hezbollah have been accused by the United Nations and human rights groups of violating humanitarian law during the conflict. Israel has been accused of firing as many as 4 million cluster bombs into Lebanon during the war, especially in the last hours before the cease-fire. U.N. demining experts say up to 1 million cluster bombs failed to explode immediately and continue to threaten civilians. On Sunday, a cluster bomb exploded in a southern Lebanese village, killing a 12-year-old boy and wounding his younger brother, security officials said. At least 21 people have been killed and more than 100 wounded by cluster bombs since the end of the war, the U.N. Mine Action Center said. Hezbollah, meanwhile, has been criticized for failing to distinguish between Israeli civilian and military targets. Human Rights Watch also said the militant group fired cluster bombs into civilian areas of northern Israel during the fighting. England is the latest country to deal with a veil controversy. Readers may be most familiar with the French controversy, in which obvious symbols of religion were banned from schools in order to preserve the secular nature of France’s public school system. Now England is discussing the role of the veil, more specifically the full face veil known as the niqab. Jack Straw, leader of the British House of Commons, has been opining for several weeks that niqabs are harmful to society. Now Tony Blair, the eventually outgoing Prime Minister has more or less agreed, stating that the veil ” is a mark of separation”. While neither Straw or Blair has explicitly stated that veils should be banned, one must wonder what they are so afraid of. Stating that the veil is a mark of separation ignore the Britain’s history as a multicultural nation. Britain’s diverse population was an accident, the result of a deeply flawed series immigration legislation. However, Britain has still been able to successfully integrate immigrants into British society, so that turban, veil, and dreadlocks wearers are just as British as the WASP at a polo match or a soccer hooligan, or anyone else born in Britain. In a society that has benefited so much from different cultures, what is wrong with a mark of separation? Why are other groups able to wear clothing and symbols that identify their ethnicity or religious identity? Islamophobia has been spreading in western Europe in the wake of terrorist attacks and high profile terrorism related arrests. Also, no one wants to relive the rioting and social discord in France’s predominantly Muslim suburbs. The French incidents were blamed on the lack of integration of French Muslims into mainstream French Society. If this is the case, and similar incidents may be in the cards for Britain, then talk of veils being a problem is the exact wrong strategy to improve relations between muslims and mainstream British society. The British government should open its arms to Muslims, not push them away. If anything, an already alienated minority will feel even more alienated and separate itself even more from mainstream society if certain fundamental parts of their culture are seen as a problem. 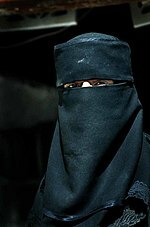 Muslims will not stop wearing the veil, but may close themselves off from mainstream society so that they can continue their cultural practices without criticism or provocation. British Muslims may identify more with being Muslim than being British. If they are forced to choose, they will choose their religion. It is far better that they identify both with their religion and their country, even if they identify more with their religion. Stability, but at what cost? Something resembling stability has returned to Somalia in the last several weeks as various Islamist militias have taken over most of the country. After nearly two decades of chaos, and no central government, this east African country may soon become a nation-state again. A failed state is bad, but is an Islamic state worse? Regardless, various militias plan to join forces as a single army, and we will soon learn which is more peaceful, chaos, or extremist calm. Is Israel using human shields? I will preface this by saying that there is a lot I don’t know about, and I am genuinely interested in the answers. Unlike some other bloggers, I am not asking these to prove a point or be controversial for controversy’s sake. If you can shed a little light, or have questions of your own, please share them. This blog is about raising awareness of the world, and finding a glimmer of truth in the darkness of those who would rather be believed than be honest. Now on to what will inevitably cause me to be branded something by someone. Last night, as I usually do before I go to sleep, I was watching TV. As I flipped between Hell’s kitchen, a couple different baseball games, and CNN’s “24 Hours of Death and Destruction,” I was struck by something very strange: the sound of outgoing shelling. Anderson Cooper was standing on a well lit street corner in a town in northern Israel. Every few seconds he was interrupted by another round of shelling. It sounded like the artillery battery was in the town, if not very close. So close in fact, I wondered if civilians would be in danger if Hezbollah attacked obviously military target. There were civilians in the town. A trailor full of farm workers drove by just as the show was ending. I don’t know how close this obvious military target was to the village. I do know that this is a war of perception and public opinion as much as it a war of bullets, guns, and bombs. Israel has used Hezbollah’s strategy of using human shields as a justification and excuse for the 900 dead Lebanese civilians. The Hezbollah rocket launchers are in civilian areas, and unfortunately there is collateral damage when these legitimate military targets are attacked. However, if that is Israel’s philosophy, what is the Israeli military doing so seemingly close to civilian areas. Why are they even allowing a situation when it could appear that they are putting their own people in danger, especially when Hezbollah’s notoriously difficult to aim rockets are taken into account. The Israeli military should be far from civilian areas, and again maybe they are. The farther they are from civilian areas, the better. Hezbollah will have a smaller chance of hitting anything, and both the Israeli military and civilians will be in less danger. As long as the Israeli Military is based near civilian areas, both innocent Israeli’s, and what’s left of Israel’s support will be in even greater danger than they already are. I could be wrong, and if I am let me know. Public opinion may not be shifting, but at the very least, other voices are being heard. The most interesting thing about these articles is the response of readers, both Israeli and Lebanese, both for and against. To better understand these various views, click on the link below each article. In war as in war: Israel is sinking into a strident, nationalistic atmosphere and darkness is beginning to cover everything. The brakes we still had are eroding, the insensitivity and blindness that characterized Israeli society in recent years is intensifying. The home front is cut in half: the north suffers and the center is serene. But both have been taken over by tones of jingoism, ruthlessness and vengeance, and the voices of extremism that previously characterized the camp’s margins are now expressing its heart. The left has once again lost its way, wrapped in silence or “admitting mistakes.” Israel is exposing a unified, nationalistic face. Since we’ve grown accustomed to thinking collective punishment a legitimate weapon, it is no wonder no debate has sparked here over the cruel punishment of Lebanon for Hezbollah’s actions. If it was okay in Nablus, why not Beirut? The only criticism being heard about this war is over tactics. Everyone is a general now and they are mostly pushing the IDF to deepen its activities. Commentators, ex-generals and politicians compete at raising the stakes with extreme proposals. It’s not difficult to guess what we would think about an Arab TV station whose commentators would say something like that, but another few casualties or failures by the IDF, and Limor’s proposal will be implemented. Is there any better sign of how we have lost our senses and our humanity? Chauvinism and an appetite for vengeance are raising their heads. If two weeks ago only lunatics such as Safed Rabbi Shmuel Eliyahu spoke about “wiping out every village where a Katyusha is fired,” now a senior officer in the IDF speaks that way in Yedioth Aharonoth’s main headlines. Lebanese villages may not have been wiped out yet, but we have long since wiped out our own red lines. A bereaved father, Haim Avraham, whose son was kidnapped and killed by Hezbollah in October 2000, fires an artillery shell into Lebanon for the reporters. It’s vengeance for his son. His image, embracing the decorated artillery shell is one of the most disgraceful images of this war. And it’s only the first. A group of young girls also have their picture taken decorating IDF shells with slogans. Maariv, which has turned into the Fox News of Israel, fills its pages with chauvinist slogans reminiscent of particularly inferior propaganda machines, such as “Israel is strong” – which is indicative of weakness, actually – while a TV commentator calls for the bombing of a TV station. The Zionist left has also been made irrelevant. As in every difficult test in the past – the two intifadas for example – this time too the left has failed just when its voice was so necessary as a counterweight to the stridency of the beating tom-toms of war. Why have a left if at every real test it joins the national chorus? Peace Now stands silently, so does Meretz, except for brave Zehava Gal-On. A few days of a war of choice and already Yehoshua Sobol is admitting he was wrong all along. Peace Now is suddenly an “infantile slogan” for him. His colleagues are silent and their silence is no less resounding. Only the extreme left makes its voice heard, but it is a voice nobody listens to. Long before this war is decided, it can already be stated that its spiraling cost will include the moral blackout that is surrounding and covering us all, threatening our existence and image no less than Hezbollah’s Katyushas. There’s practically a holy consensus right now that the war in the North is a just war and that morality is on our side. The bitter truth must be said: this holy consensus is based on short-range selective memory, an introverted worldview, and double standards. This war is not a just war. Israel is using excessive force without distinguishing between civilian population and enemy, whose sole purpose is extortion. That is not to say that morality and justice are on Hezbollah’s side. Most certainly not. But the fact that Hezbollah “started it” when it kidnapped soldiers from across an international border does not even begin to tilt the scales of justice toward our side. Let’s start with a few facts. We invaded a sovereign state, and occupied its capital in 1982. In the process of this occupation, we dropped several tons of bombs from the air, ground and sea, while wounding and killing thousands of civilians. Approximately 14,000 civilians were killed between June and September of 1982, according to a conservative estimate. The majority of these civilians had nothing to do with the PLO, which provided the official pretext for the war. In Operations Accountability and Grapes of Wrath, we caused the mass flight of about 500,000 refugees from southern Lebanon on each occasion. There are no exact data on the number of casualties in these operations, but one can recall that in Operation Grapes of Wrath, we bombed a shelter in the village of Kafr Kana which killed 103 civilians. The bombing may have been accidental, but that did not make the operation any more moral. On July 28, 1989, we kidnapped Sheikh Obeid, and on May 12, 1994, we kidnapped Mustafa Dirani, who had captured Ron Arad. Israel held these two people and another 20-odd Lebanese detainees without trial, as “negotiating chips.” That which is permissible to us is, of course, forbidden to Hezbollah. Hezbollah crossed a border that is recognized by the international community. That is true. What we are forgetting is that ever since our withdrawal from Lebanon, the Israel Air Force has conducted photo-surveillance sorties on a daily basis in Lebanese airspace. While these flights caused no casualties, border violations are border violations. Here too, morality is not on our side. So much for the history of morality. Now, let’s consider current affairs. What exactly is the difference between launching Katyushas into civilian population centers in Israel and the Israel Air Force bombing population centers in south Beirut, Tyre, Sidon and Tripoli? The IDF has fired thousands of shells into south Lebanon villages, alleging that Hezbollah men are concealed among the civilian population. Approximately 25 Israeli civilians have been killed as a result of Katyusha missiles to date. The number of dead in Lebanon, the vast majority comprised of civilians who have nothing to do with Hezbollah, is more than 300. Worse yet, bombing infrastructure targets such as power stations, bridges and other civil facilities turns the entire Lebanese civilian population into a victim and hostage, even if we are not physically harming civilians. The use of bombings to achieve a diplomatic goal – namely, coercing the Lebanese government into implementing UN Security Council Resolution 1559 – is an attempt at political blackmail, and no less than the kidnapping of IDF soldiers by Hezbollah is the aim of bringing about a prisoner exchange. There is a propaganda aspect to this war, and it involves a competition as to who is more miserable. Each side tries to persuade the world that it is more miserable. As in every propaganda campaign, the use of information is selective, distorted and self-righteous. If we want to base our information (or shall we call it propaganda?) policy on the assumption that the international environment is going to buy the dubious merchandise that we are selling, be it out of ignorance or hypocrisy, then fine. But in terms of our own national soul searching, we owe ourselves to confront the bitter truth – maybe we will win this conflict on the military field, maybe we will make some diplomatic gains, but on the moral plane, we have no advantage, and we have no special status. The writer is a professor of political science at Tel Aviv university. Israel once again dropped leaflets today warning residents of south Beirut to evacuate before air-strikes resumed. The assumption is that anyone who does not leave is a member or ally of Hezbollah. As the botched Hurricane Katrina evacuation demonstrated, not everyone who wants to can leave. The US is the richest country in the world, has an advanced transportation network of trains, airports, sea ports, highways, and advanced communication systems to aid any evacuation attempts. With all these advantages, tens of thousands of people were unable to leave New Orleans, and hundreds died because of it. Even after warning civilians to leave, Israel is unable to verify whether they have left. IDF sources said the warning pamphlets the IAF disseminated to residents, calling on them to leave the area, were dropped several days before the strike, and not over the weekend. The IAF does not have a way to verify whether villages have been vacated, or whether civilians remain hidden in bomb-shelters in locations otherwise believed to have been vacated, the sources said. Paratroopers who fought in Bint Jbail last week said they noticed civilians hiding in the rubble while the fierce battle with Hezbollah militants was taking place. It is possible for Israel to conduct a campaign of self defense against Hezbollah in accordance with International Law. In fact, doing so will result in a safer Israel and fewer civilians deaths on both sides. Despite weeks of air-strikes, Hezbollah has maintained its ability to attack Israel. Judging by the number of rockets and how far they have been fired into Israel, if anything, Hezbollah has gotten stronger. It is difficult for a conventional army to defeat a guerrilla army from the ground, but it is impossible from air. Israel has yet to report any Hezbollah deaths that are a result air-strikes, but has reported some modest successes from their ground campaign. If Israel wants to achieve its stated goal of protecting its northern border and creating a buffer zone, it should have never engaged in its misguided air campaign. A focused ground campaign will disrupt Hezbollah’s attacks on northern Israel, and will go a long way to halt international criticism. Most importantly, civilians on both sides will be protected. Hezbollah is committing war crimes, but Israel is committing war crimes in response. Protecting civilians is a just end, but the end does not justify the means.